6 Whole30 Sauces that Aren’t Mayo that you need in your life! From chimichurri, to creamy lemon garlic, avocado lime, and more, these sauces will add a boost of flavor to meal prep or any Whole30, vegan, paleo, and gluten free meal! 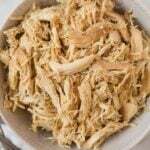 Want some more fun ways to use shredded chicken, check out Prep & Recycle – a free meal prep guide to making shredded chicken + 5 different recipes in under 2 hours! 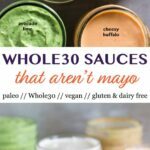 Whole30 Sauces that aren’t mayo!!! Sauces make my world go round. I’ve always been obsessed with them. It first started with my love for honey mustard (I made my mom buy every different brand in high school until we found one I liked). Then to regular mustard and always and forever hot sauce. I love adding something a little sweet or spicy and creamy to my foods to give it some extra flavor. PS – this homemade honey mustard is legit (not Whole30 approved, but amazing!). My love for sauces might run in the family? Definitely not my mom, maybe my dad a little, but my sister and I for sure. If you have been to Delaware beaches, you are familiar with Thrashers’ french fries. They don’t serve ketchup and my sister used to be obsessed with ketchup when she was younger. One time we ordered some fries and she wanted ketchup. My dad asked and the guy said he didn’t have any. Well that wasn’t okay with her and she just stood in the middle of the boardwalk screaming “ketchup!!! !” over and over again. Classic. It wasn’t until I started looking at labels that I realized what was in some of my favorite sauces. Hot sauce is usually pretty good, but the honey mustards you find on the shelves, no way. They are usually packed with a bunch of additives and sugars. When switching to a whole foods type approach to eating, especially when you are doing the Whole30, a lot of your favorite sauces are on the no-go list. There are some good options on the shelves now, but they can be pretty expensive. So you have to resort to making your own. Being a sauce fanatic, I’m totally up for the challenge of making my own sauces. I mean I do it almost every night. So I’m bringing you 6 Whole30 sauces that aren’t mayo! I know homemade mayo is a staple during the Whole30 and you can do so many different things with it (like this chipotle one or old bay one). But sometimes you gotta change it up. And a lot of people can’t have eggs these days. All of the healthy sauces are egg free, dairy free, gluten free, vegan, and paleo! All you need in a Vitamix or high powered blender and some basic ingredients and pantry staples. Half of the these Whole30 sauces are made with cashews. When soaked and then blended, they have a great creamy consistency and the taste is very mild. That means you can add whatever seasonings and spices to them. When using cashews, all you need to do it soak and then drain them. Then add them to your blender with the remaining ingredients and blend until smooth. 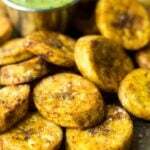 This method is used for the cashew curry, creamy lemon garlic, and cheesy buffalo sauce. For the chimichurri and avocado sauce, just add the ingredients to the blender and blender until combined and smooth. The tahini sauce you can use mix everything together by hand. Each one takes less than 5 minutes to make! What can you substitute for cashews? I love using cashews as they provide a creamy consistency with a mild flavor. A lot of people can’t have nuts though. If you can’t eat cashews, but can have other nuts, I think almonds would be a great substitute. I also think macadamia nuts would work well too. If you can’t have any nuts, I would try sunflower seeds. It might throw off the flavors little, but it should still work. If you are short on time, tahini is ground up sunflower seeds and could be a good substitute. Can you freeze these sauces? Yes! 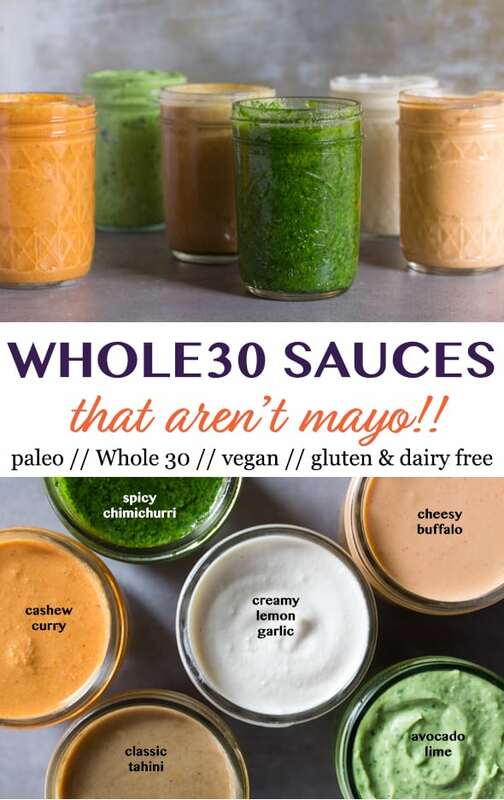 All of these healthy Whole30 sauces are freezer friendly. To freeze, you can either freeze in a jar or ice cube molds for individual serving sizes. Then you can just defrost when needed. You will need to mix up the sauce as freeze might cause some separation. They should last in the freeze for up to 6 months. 6 Whole30 Sauces that Aren't Mayo that you need in your life! From chimichurri, to creamy lemon garlic, avocado lime, and more, these sauces will add a boost of flavor to meal prep or any Whole30, vegan, paleo, and gluten free meal! Place in a high powered Vitamix or blender and blend until smooth. All all ingredients to a small bowl and whisk until combined. All sauces should last about a week or more in the fridge! **I roasted my garlic ahead of time. To roast garlic, preheat oven to 375 degrees Fahrenheit. Peel the outer layers of the garlic skin off leaving the cloves still attached and chop off the top of the bulb. Place in aluminum foil and drizzle ½ teaspoon olive oil over the exposed surface of the garlic, letting the oil sink down into the cloves. Wrap the garlic in aluminum foil and roast in the oven for 40 minutes. Hi thank you for this informative post. I’m constantly searching for new recipes after making the decision to eat cleaner and mostly vegan. I keep running into an issue however and that is my son is highly allergic to cashews. Would you be able to suggest a substitute or is there no real substitute for cashews? I’d love to make a cheese type sauce for the boys as they are always asking for real cheese. Any help with this matter would be greatly appreciated. Hi Amanda! That’s great you have made some transitions to a cleaner lifestyle and you are passing it along to your family. I personally haven’t tried this, but I think macadamia nuts would be a good sub. I would definitely make sure you soak them for a few hours to soften up (they are more dense) and use a high powered blender when you are blending. Hope that helps and let me know if that works! Any thoughts for someone who cannot do ANY nuts? 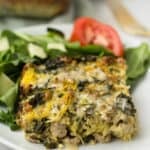 I’ve heard white beans can be used in place of cashews, 1:1, but not sure about in these recipes. Hi Katie! Hmm, I’ve never heard that, but it might be worth a shot. I would just peel the skin off the beans to make sure the sauce is smooth. I have also heard of people blending tofu, but haven’t tried it either. If you try it for one of them, let me know how it goes! 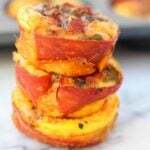 There is a hotforfood recipe that is potato and carrot based (no nuts!). Hi Ansley! I don’t at the moment, but I will work on that and add them. Thanks! Have you ever frozen any of these sauces? I haven’t, but they should last a week and a half in the fridge. They should be fine to freeze though! You could put them in ice cube trays so you could just defrost a little bit at a time too! Hope that helps! How long do these sauces last in the fridge? Or if they were frozen, what’s the shelf life? Hi Karen! They should last a week and a half in the fridge. They should be fine to freeze as well! I would say 6 months or so in the freezer at least. You could freeze them in ice cube trays so you could just defrost a little bit at a time too! Hope that helps. I love the post! The story about Thrashers made me giggle. Having lived in DE as a kid, I could envision the whole thing! I will try these sauces as I’m a sauce and mayo fan. I also want to look into the entire Whole30 eatung plan…haven’t heard much about it thus far. Currently I live in an area where only Food Lion and Wal-Mart are the stores available. I pray I can find what I need there. Check this pin out. It’s a whole 30 Walmart shopping list. I can’t afford to shop at Whole Foods and amabout to start a whole 30 on a budget as best as I can. I do have an amazon prime account and have found a lot of whole 30 compliant snacks and condiments etc: on there that seem somewhat affordable as well. Another great place to shop on a hugger is Aldi if you have one close to you. Haha yes!! So funny they don’t have ketchup. 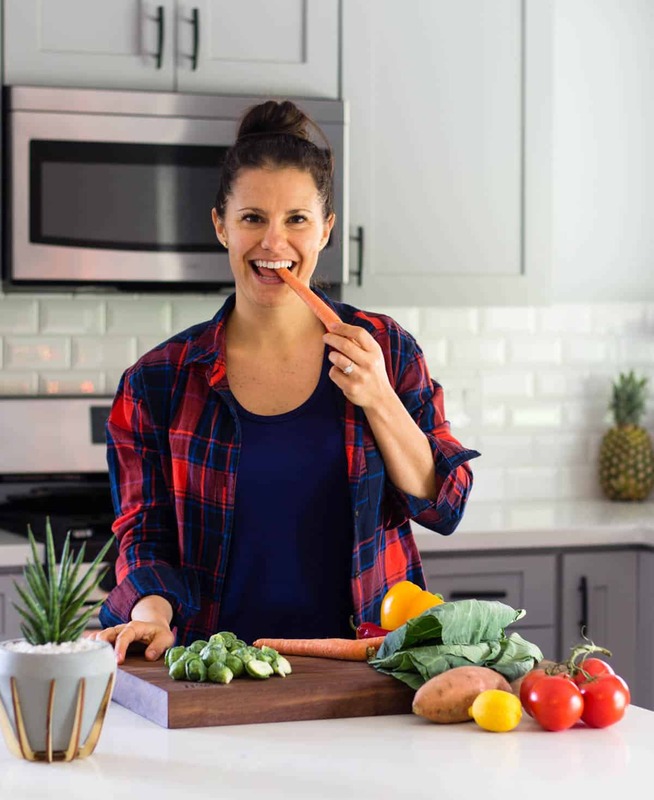 Whole30 is great to give your body a reset and give out what foods work for you and what foods don’t. If you can’t find what you need at those stores, you can always look on Amazon! They have a bunch of great stuff you can order. What’s a healthy serving size? Don’t want to go too over board! I would say 2 tablespoons! I feel ya, I love sauces and tend to use a lot haha! Are these sauces all Vegan please? Hi, yes, they all are! I was looking over the earlier comments and felt I could offer my input! First of all, all these sauces are super awesome! I’ve tried he Tahini sauce, the Lemon garlic, and a tweaked spicy cashew(with chipotle peppers and the adobo sauce it comes with in the can)- all turned out excellent. If you have nut allergies, try using sunflower seeds, or even sesame as was suggested. I had made a tofu version before, but it just lacks the creamy mouthfeel. I have tried freezing and defrosting the cashew based chipotle sauce (by the way, great with sweet potato fries), and when you thaw it completely, it looks curdled a bit, but just stir it well and use, it tastes the same. So, no worries! Love all of these suggestions Preeti!! 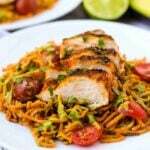 I love that you added chipotle pepper, I’m going to have to try that! So glad you liked the ones you tried! Yay! Love it when the guys approve! I put this stuff on everything too! Thanks for trying it Allison! Lemon garlic sauce is so good it had people triple checking it was whole30. Ive got vegan family members as well so i love having a sauce like this up my sleeve for when they visit. LOL – that’s too funny! So glad it was a hit! Thanks for trying it Kate! Yay for double batches! So glad you liked them Hannah! Thanks for trying! These are a Whole30 GAME CHANGER / LIFESAVER. So simple and delicious! Woot woot! So glad you enjoyed them Emily! Your avocado lime sauce is amazing!!! Thank you! Yay! So glad you like it Konika! Thanks for trying it!! I prepared the coconut curry sauce today and plan on using it on some chicken and salmon and roasted potatoes tomorrow. The sauce was quick to prepare and tastes yummy. Thank you for sharing. Hi Golda! So glad you liked it – one of my favorites! Thank you for trying it!